Assignment, at its simplest, was the provision of convict labour to the free settlers of a colony. Its ultimate aim was to bolster an emerging economy, while at the same time providing the 'unwanted and unruly' with reformative employment. A system of governance in the pre-Revolution plantations of North America, the practice of assignment was transplanted to the Australian colonies with the British colonisers. In New South Wales and Van Diemen's Land, convicts in assignment were still nominally under the control of the government. By doing this the colonial governments passed the costs of clothing and feeding much of its convict workforce to the free class – but retained overall authority over the convicts. In its ideal form, assignment was beneficial to all three parties: the government transferred the upkeep of the convict, the master gained cheap labour, and the convict gained reformation through industrious labour. In the early years of settlement, convicts were maintained by the New South Wales government, their labour put to use on government projects. After 1800, as the convict population grew, they were assigned to the growing private sector, which thus took on the costs of convict management. In Van Diemen's Land, assignment reached its zenith under the governance of Lt-Governor George Arthur. Only two years before Arthur's 1824 arrival, the findings of Commissioner JT Bigge had called for a tightening of the existing system. Arthur, seeing the provision of convict labour as a privilege – not a right – set about the task in earnest. With over half the convict population assigned to the settler population, he recognised that the settler formed a very important 'cog' in a greater machine. In keeping with this, he governed the settler-master almost as stringently as he governed the convict. Despite the measures exercised by Arthur and others, assignment steadily garnered opposition throughout the 1820s and 1830s, culminating in the 1838 Molesworth Report. Harnessing the discontent of the administrators and settlers, assignment was branded an unsatisfactory 'lottery'. Disgruntled settlers complained about poor work output, disobedience and the lack of skilled convict labour – the cream of which they saw funnelled into government projects. The government, conversely, found that settlers did not always make the best gaolers, their superintendence ranging from the brutally oppressive to almost non-existent. 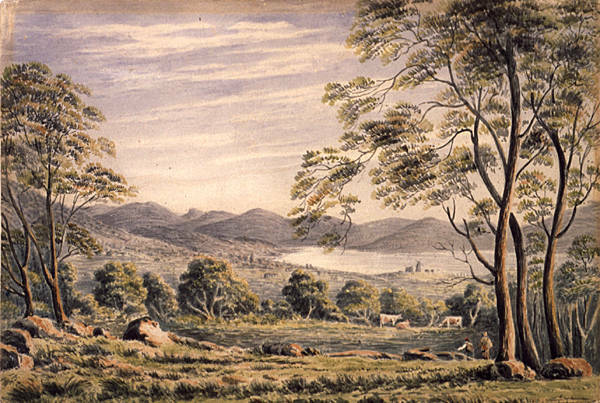 Foreshadowing the inevitable, assignment's withdrawal began in New South Wales in 1837. It was not until 1839 that Van Diemen's Land, with far more convicts than free labourers, began this process. For close to half a century assignment had provided avenues for the reformation of the convict and a chance at prosperity for the settler. Perhaps the best measure of its effectiveness or ineffectiveness can be taken in post-assignment Van Diemen's Land. Assignment's successor, the probation system, failed to meet expectations. There was a shortage of labour during 1840–41, followed by a protracted economic depression. Many settlers linked its onset to the end of assignment. Newspapers, voicing the settlers' concerns, were obsessed with the topic of assignment – regretting the loss of a system they now saw as effective. Further reading: R Hartwell, The economic development of Van Diemen's Land 1820–50, Melbourne, 1954; S Nicholas (ed), Convict workers, Cambridge, 1988; A Shaw, Convicts and the colonies, London, 1966.